1. At its 469th meeting held on 25 November 2014, Council considered the regional efforts being deployed to combat the Boko Haram terrorist group and agreed on steps to be taken by the Commission in support of the Member States of the Lake Chad Basin Commission (LCBC) and Benin. […] At their 5th ministerial meeting held in Niamey, Niger, on 20 January 2015, the LCBC Member States and Benin requested me to, inter alia, submit to Council a report on the regional and international efforts being deployed in the fight against Boko Haram, particularly the Conclusions of that meeting, in order to enable it [to] authorize the deployment of, and mandate, the Multinational Joint Task Force (MNJTF). 3. During the period under consideration, the Boko Haram terrorist group has continued to carry out numerous attacks, targeting civilians, police, churches, mosques, and public facilities, including schools. In early January 2015, Boko Haram overran a military base in northeastern Nigeria that was the headquarters of the MNJTF located in Baga, Borno State. The group then forced thousands of people from the region, burnt and destroyed homes and businesses, and committed mass killings. Mention should also be made of the 10 and 11 January 2015 suicide bombings in Maiduguri, Borno State, and Potiskum, Yobe State, reportedly involving children coerced by Boko Haram to act as suicide bombers. 4. Since 2013, the Boko Haram terrorist group has frequently attacked towns and villages, security outposts and schools, and has also kidnapped civilians, foreign tourists and missionaries in the border regions of Cameroon. Recently, there has been an increasing number of attacks in the Lake Chad Basin region along Nigeria’s borders with Chad and Cameroon and in the northern provinces of Cameroon. 11. Council will recall that, at its Summit meeting on terrorism and violent extremism held in Nairobi on 2 September 2014, the issue of Boko Haram was discussed extensively. More specifically, Council urged the countries of the region to take the necessary steps towards operationalizing the mechanisms agreed upon to address more effectively the threat posed by Boko Haram. […] The countries of the region pledged to contribute a battalion each to the MNJTF, while the partners committed to facilitate the early operationalization of the RIFU [Regional Intelligence Fusion Unit] and offered training to the Nigerian and regional forces engaged in the fight against Boko Haram and other terrorist groups. The meeting recognized that, in addition to law enforcement, military and intelligence cooperation, security and stability can be achieved only through an approach that includes respect for human rights, alleviating poverty and creating jobs, strengthening the rule of law, improving education and protecting the rights of women and girls. iii. facilitate, within the limit of its capabilities, humanitarian operations and the delivery of assistance to the affected populations. xi. ensuring the protection of the MNJTF personnel, facilities and equipment. 24. Boko Haram’s horrendous abuses, unspeakable cruelty, total disregard for human lives, and wanton destruction of property are unmatched. The abduction of the Chibok young girls, the attack in Baga and the involvement of children coerced to act as suicide bombers, as was reportedly the case in Potiskum, mass killings of civilians, hostage taking, sexual slavery and other horrendous acts, are cases in point. 2. For the armed conflict between MNJTF and Boko Haram, who are the parties to the conflict? Does the fact that the MNJTF contingents are deployed within their national territories [para. 20] affect the classification of the conflict? How does the fact that the MNJTF operates under the leadership and control of the LCBC Member States and Benin affect the classification? 4. (Paras 17-20) Does the fact that the MNJTF has an African Union mandate change anything in terms of classification? If the MNJTF were mandated by the UN Security Council, would that have an impact on classification? Why/Why not? How do you compare the mandate of the MNJTF vis-à-vis obligations under IHL? Does the mandate have broader scope in terms of protection for civilians? 5. (Para. 7) How does the UN Security Council seem to classify the conflict with Boko Haram? Does the fact that reference only to crimes against humanity mean that there were no violations which would amount to war crimes? 6. (Para. 3) Was the attack on a military base in the northeastern Nigeria that was the headquarters of the MNJTF a violation of IHL? What elements would you need to answer this question definitively? 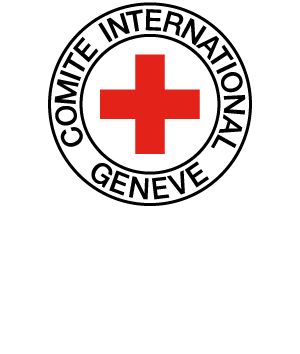 Assuming the existence of an armed conflict, are the 10 and 11 January 2015 suicide bombings in Maiduguri, Borno State, and Potiskum, Yobe State by Boko Haram necessarily violations of IHL? 8. (Para. 8) Under IHL, are Boko Haram’s attacks directed against the defense and security forces of the countries of the region prohibited? 10. Is Boko Haram under obligation to respect civilians in areas under its control? Under IHL? Under international human rights law? 11. (Para.7) What provisions of IHL would be violated by the abduction by Boko Haram of 276 schoolgirls in Chibok? Are the abductees hostages? 12. (Paras 7, 8 and 20) Which acts under these paragraphs could constitute war crimes? What is the difference between war crimes and crimes against humanity? 13. (Paras 3 and 24) By forcing children to engage in suicide bombings, what provisions of IHL are violated by Boko Haram? What provisions of international human rights law would be violated?